Hypothyroidism (underactive thyroid) can occur at any age, but older adults are more affected by it. Approximately 10 million Americans have it, according to Endocrine Web. After age 65, 10 percent of women and 6 percent of men get it, according to Merck. It can potentially be the cause of, or contribute to, vertigo. Hypothyroidism is when the body has a deficiency in hormones produced by the thyroid gland. It is the result of an autoimmune disease (such as Hashimoto's thyroiditis) or can be caused by iodine therapy or thyroid removal. Symptoms include unexplained coldness, forgetfulness, constipation, weight gain and fatigue. Vertigo is a feeling of movement when motion is not happening. It can occur all the time or only when the body is in certain positions. Some of the causes include migraines, brain trauma, stress, central nervous system problems, multiple sclerosis, dehydration, cardiovascular disease and neck injuries. 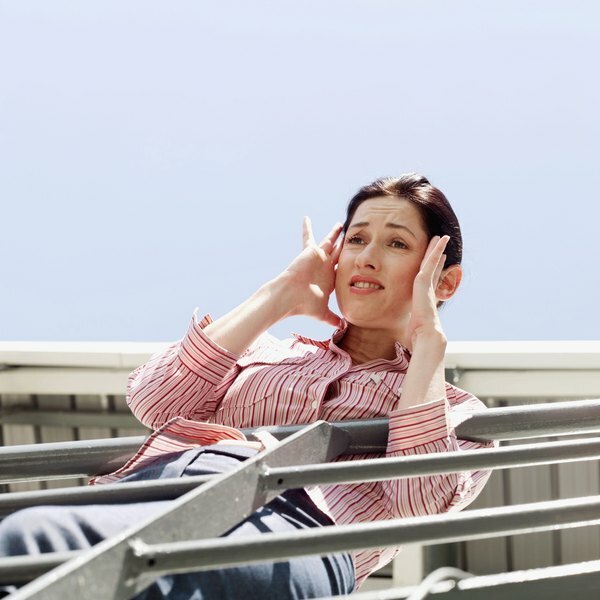 The Neurology Channel claims that thyroid disorders can cause vertigo. The Merck Manual of Health & Aging also says that dizziness is associated with an underactive thyroid. Hypothyroidism is also associated with loss of hearing, according to eHealthMD. The loss of hearing may cause vertigo sensations. About 3 percent of those with Meniere's syndrome (a collection of symptoms including vertigo) also have hypothyroidism, according to The Merck Manual of Health & Aging. With treatment, both can be improved. While hypothyroidism can cause sensations of dizziness or vertigo, it may also contribute to conditions like hearing loss or elevated triglycerides, which can be associated with vertigo too. Hypothyroidism can not only cause vertigo, but can worsen the symptoms of vertigo. Doctors typically perform a blood test to determine hypothyroidism. In those with the condition, blood tests will reveal that T4 (the main thyroid hormone) is low and TSH (a thyroid stimulating hormone) is high in an attempt to compensate for low T4. To correct the imbalance, doctors usually prescribe hormone replacement medication. Those who are diagnosed with severe hypothyroidism may need to be hospitalized until their condition improves.